Openreach has appointed Sir Brendan Barber and Edward Astle as independent members of a newly formed Board to oversee strategy, investment and service delivery at the UK’s leading digital infrastructure company. Sir Brendan Barber, former General Secretary of the Trades Union Congress and current chair of Acas, and Edward Astle, a former Board member of National Grid, attended the inaugural meeting of the Openreach Board on 31 January 2017. The Board was chaired by Mike McTighe, who was appointed independent Chairman of Openreach in December 2016. A fourth independent non-executive is due to be announced imminently with a specific focus on customer service. Establishing the new Board is central to governance reforms that Openreach has been implementing to become a more transparent and autonomous business. The reorganisation programme will create increased operational and management independence for Openreach. Mike McTighe, Chairman of Openreach, said: “Openreach’s network and connectivity underpins Britain’s digital economy and we know that our customers have very high expectations of us. “I understand that customers sometimes feel let down by Openreach because we haven’t always delivered the service they expect or that we hope to provide. We have made a lot of progress since Clive Selley joined as CEO a year ago - for example on halving the number of missed appointments, making our fibre network available to millions more people and accelerating our plan to introduce a new generation of ultrafast technology. But we need to do more to re-build trust and credibility. This will be the Board’s focus and we are currently in consultation with BT Group about agreeing the plan to deliver better service, broader coverage and faster speeds for consumers and businesses across the country. The Board will be responsible for setting Openreach’s strategy and overseeing its performance, making sure it treats all customers equally whilst investing in better service, broader coverage and faster broadband speeds for the entire UK. It will have an independent majority whose appointments have been discussed with Ofcom. Clive Selley, Openreach Chief Executive; Clare Sadlier, Openreach Chief Finance Officer; and Simon Lowth, BT Group Finance Director will also join the Openreach Board. 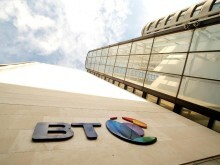 Clive will report to the Openreach Chairman, with accountability to the BT Chief Executive on issues relating to BT’s responsibilities as a publicly listed company. To further strengthen governance, Openreach will establish committees needed to operate to the highest standards of corporate governance. In particular, a new Openreach Board Audit, Risk and Compliance Committee (OBARCC) will be established. The OBARCC will hold the business to account and regularly hear representations from customers, as well as conducting an annual review of Openreach compliance and publish its findings. Brendan Barber has been Chair of the Advisory, Conciliation and Arbitration Service (Acas) since January 2014 and brings a wealth of experience in employment relations, having also been General Secretary of the TUC from 2003 to 2012. He also serves on the Banking Standards Board (2015-). Edward Astle has a distinguished history in the telecoms and utilities sector, having served on the Boards, and run substantial divisions, of Cable and Wireless (1989 to 1997), BICC (1997 to 1999) and National Grid (2001 to 2008). He was Pro Rector Enterprise at Imperial College London from 2008 to 2013 and has been an independent member of Equality of Access Board since 2013, so he brings a detailed understanding of the industry, and particularly the regulatory and compliance obligations being adopted by Openreach. Openreach is the UK’s leading digital infrastructure provider. Its 32,000 employees are responsible for building and maintaining millions of miles of fibre and copper cables that connect every home and business in the UK to local telephone exchanges. Openreach operates and maintains this network to deliver a range of wholesale services for more than 560 retail providers, who in-turn provide telephony, broadband, TV and data services to more than 30 million consumer and business customers throughout the country. Openreach is a highly regulated business, with more than 90 per cent of its revenues generated from services that are regulated by Ofcom. Any company can access its products under exactly the same prices, terms and conditions. Over the last decade, Openreach has invested more than £10bn into its network and is currently building the UK’s largest fibre broadband footprint. This technology is available to more than 26 million homes and businesses, with tens of thousands more gaining access each week. Openreach is a wholly owned and independently governed division of the BT Group. For the year ended 31 March 2016, it reported revenues of £5.1bn. Sir Brendan Barber was the General Secretary of the TUC from 2003 to 2012, having first joined the organisation in 1975. He is Chairman of ACAS, Deputy Chairman of the Banking Standards Board and a member of the Council of City University London, which he graduated from with a BSc in Social Sciences in 1974. He is also a member of the Board of the Mountview Academy of Theatre Arts. During his time at the TUC he sat on the ACAS Council from 1995 to 2004, the Board of Sport England from 1999 to 2003 and the Court of Directors of the Bank of England from 2003 to 2012. He is a Visiting Fellow at the Said Business School, Oxford University, and a Visiting Fellow at Nuffield College, Oxford. In 2007 he received an Honorary Doctorate from City University. Sir Brendan was knighted in the 2013 Birthday Honours for services to employment relations. During Edward Astle’s executive career he was a director of National Grid Plc from 2001 to 2008, responsible for their non-regulated and telecoms businesses (most notably wireless infrastructure); non-executive chair of 3 telecommunications ventures 1999-2001; managing director of BICC Communications (and a director of BICC Group) from 1997 to 1999, and an executive and regional director of Cable and Wireless Plc from 1989 to 1997. Previously he held senior business and strategy positions in the UK and France. He has also been Pro-Rector Enterprise at Imperial College London (2008 - 2013) and a non-executive director of Intertek Plc (2009 to 2016). He is currently chair of the board of the University of Manchester, Deputy Chair of the Advisory Board of Engie UK, and Vice Chair of the Shannon Trust. He has been a member of the BT Equality of Access Board since 2013.